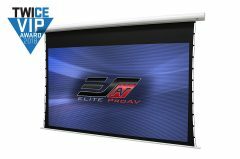 FREE SHIPPING - On All of Elite ProAV's Whiteboard Projector Screens! - EliteProAV - Providing an array of dedicated commercial grade projector screens to professional integrators. Home / News / Newsletters / FREE SHIPPING – On All of Elite ProAV’s Whiteboard Projector Screens! 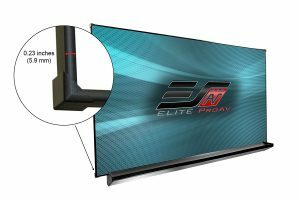 Elite ProAV, the dedicated commercial integrator division of Elite Screens Inc., is proud to announce that when you buy a WhiteBoardScreen TE™, dry-erase projection screen, Elite will cover the shipping cost. Due to the fact that whiteboard-projection screens come fully assembled out of a large, heavy box, shipping costs can be considerably high. This is where Elite comes in and will eat the shipping cost for a limited time. 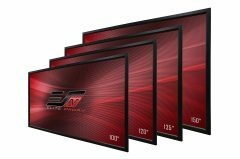 ▪ Choose from any of Elite ProAV’s WhiteBoardScreen™ TE Screens in sizes from 60″ to 113″, to 5′ x 10′. ▪ Elite will cover the ground shipping charges to consignees located within the 48 Contiguous States. 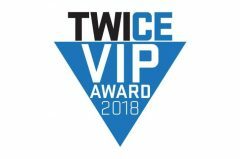 ▪ Offer valid from August 1, 2018 and will expire on New Year’s Eve, December 31, 2018. The WhiteBoardScreen™ Thin Edge is bordered with an ultra-thin aluminum black frame that protects the edges while enhancing perceived visual contrast. As with traditional whiteboard designs, it also features a magnetic surface to allow attachments to the screen’s surface. 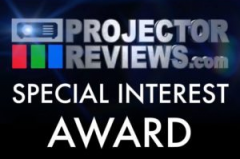 Elite ProAV™ warrants its products to the first purchaser, if purchased new and operated in the United States or Canada, to be free from defects in workmanship and materials for a period of (5) years from the date of original purchase. 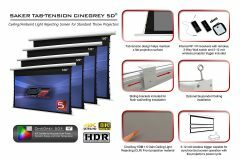 Elite Screens is one of the world’s top brands in projector screens. Our blog is designed to answer the tough questions everyone has but may be afraid to ask on a public forum. 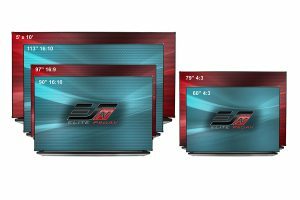 Elite’s Projection Screen Blog provides you with insight on the latest industry trends, tech tips and customer testimonials so that you may acquire an inside view of this diverse channel.